Accidents can happen quickly without warning! Accidents to the mouth, can knock out (or “avulse”) your precious teeth. At Prevent Dental Suite we’ve seen so many facial and dental injuries that it sometimes amazes how strong teeth and jaws can be! But the fact is that accidents do happen, and they are the main cause of avulsed teeth in both children and adults. An avulsed tooth requires immediate action and your quick response can increase the likelihood of long-term tooth survival. When a tooth is knocked out it’s blood and nerve supply is severed, but it can still be reattached if it receives proper care before a very quick trip to your dentist. Hold the tooth by its crown (the part that you usually see in the mouth), avoiding too much contact with the root. Gently rinse it with water, milk or saline if it has become contaminated with debris. Be very careful not to remove or damage any of the delicate tissue fibers on its root. Clean dirt or blood out of the mouth by gently rinsing with water. To help stop bleeding and to aid in replantation, try to insert the tooth back into the socket making sure that it is facing the right way. If it won’t go back in, don’t force it. Once re-inserted, apply gentle, sustained pressure with your hand or by biting on a damp piece of fabric if no facecloth or gauze is handy. Temporary teeth should NOT be reinserted in the jaw! Keep the tooth moist and protected as you travel to your Prevent Dental If the tooth cannot be re-implanted, place it under your tongue or along the inside cheek area. There is always a chance that a young child may swallow their tooth if it is kept in their mouth. You will need to supervise them carefully, but only you can determine if they are old enough to do this. If a tooth cannot be held in the mouth, it can be placed in a clean container or baggie containing some milk, water, saline, or saliva. There are products on the market that can be placed in your emergency kit. They come with a container that has a special solution in it that is designed to preserve an avulsed tooth for up to 24 hours. Call your Prevent Dental dentist immediately to tell inform us of your emergency, and get to our office as quickly as is possible. Once you arrive at our dental office we will give you and your tooth the necessary care and attention that might save it. There are no guarantees when it comes to replanting a tooth that has received such a serious injury, but acting quickly and properly immediately after the avulstion can increase your chances of saving the tooth, and in turn, saving you money. The mishandling of the avulsed tooth can significantly increase the failure rate of replantation. The tooth will almost certainly require a root canal treatment, but the alternative treatment for a lost tooth is replacement with a bridge or implant, so keeping the tooth is by far the best option. Once you arrive at our office, we will clean debris from the socket and begin the re-implantation of the avulsed tooth. Sometimes re-implantation is simple, other times it may be more complicated, especially if the tooth or bone near the socket is broken. Your tooth will be anchored to the socket by using soft wire to splint it to the neighboring teeth. This splint will hold the tooth in place for several days as the area begins to heal. If you need a root canal it may be performed immediately or your Prevent Dental dentist may choose to wait. In most cases, the tooth’s root will reattach to the bone within three to four weeks, if the area sustained serious damage the healing process may take longer. 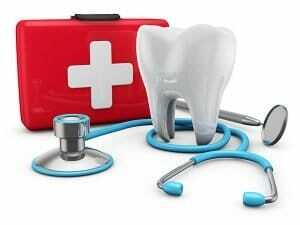 Once the tooth is re-implanted and splinted, you will be sent home with instructions for aftercare. You should make an appointment to see your dentist in three to six months to ensure the tooth is healing properly. It may take a few years for your dentist to be 100% sure that the tooth has healed successfully. Accidents cannot always be prevented, but you can minimize your risk by wearing a sports mouthguard. They can be purchased at pharmacies and sporting goods stores but it is far safer to let Prevent Dental Suite fit you a custom-fitted guard, which is more comfortable and fits better for added protection. At Prevent Dental Suites, we go above and beyond to help improve your dental care and oral health.